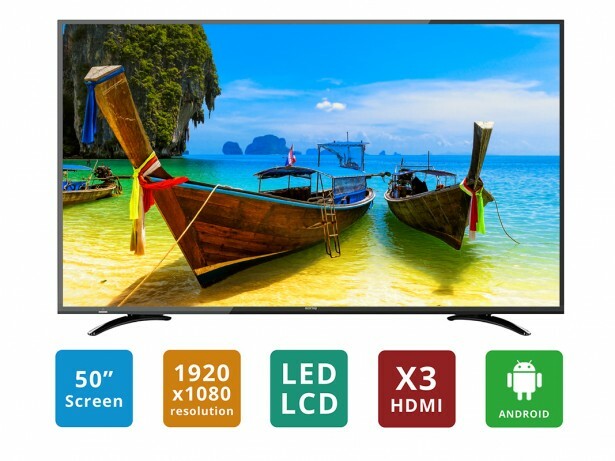 SONIQ S50VX15A-AU 50" Full HD Smart LED-LCD TV. FULL HD 1920x1080 @100HZ pixels LED Backlight Panel. ACE-PROUC advanced color engine, which makes image more refresher and brighter. Quad core Cortex -A7 1G processor, provides the high performance computing, meet more advanced applications requirements. Quad Code Mali-450 MP4 graphics processor, super 2D and 3D acceleration performance and anti-aliasing capability, better graphics and more dazzling image. 4.4.2 Android operating system, which is easy to use and spectacular. Built-in Web Browser.